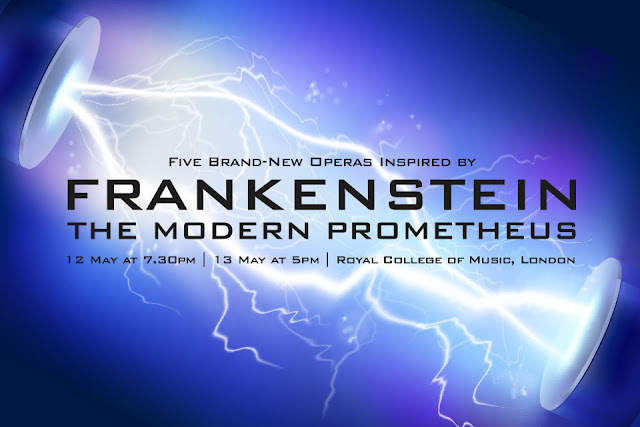 Tête à Tête is joining forces with the Royal College of Music to produce Frankenstein - The Modern Prometheus. Five 15-minute operas will be presented on 12 and 13 May 2018, created by the college's composers and performed by the college's singers, directed by Bill Bankes-Jones, with conductor Natalie Murray and designer Sarah Booth. Based on the themes of monstrosity and scientific idealism, and marking 200 years since Mary Shelley’s novel Frankenstein, each opera promises to pack a punch in just 15 minutes. Full details from the Royal College of Music's website.